NH KNIT - *** MUST ORDER A MINIMUM OF 12 TO HAVE THE BACK CUSTOM EMBROIDERED*** Production time is 5-7 business day. 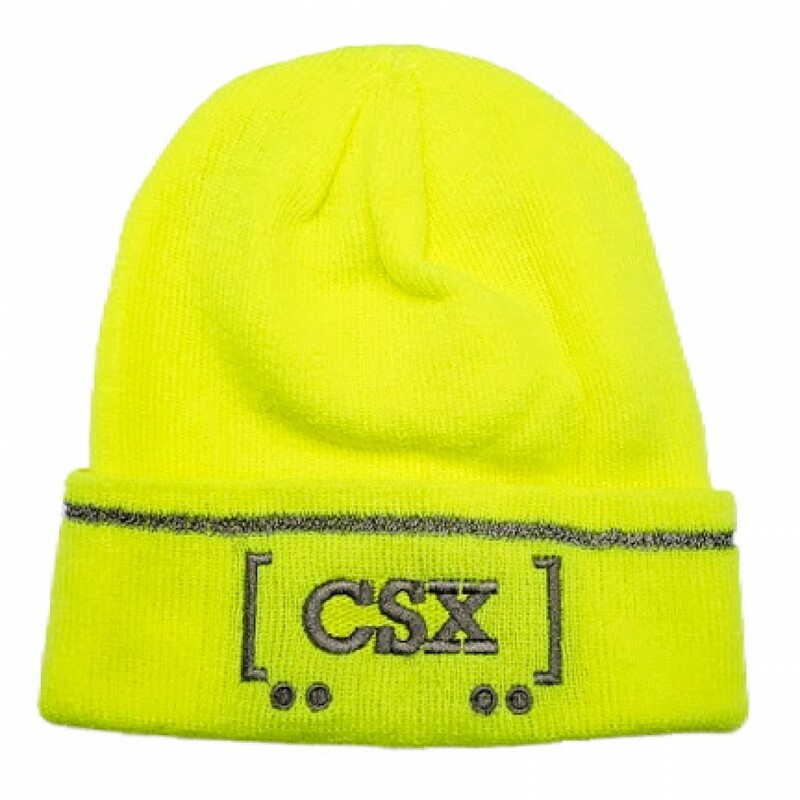 Neon yellow with reflective stripe, silver CSX logo embroidered on front. Your division name embroidered on back (optional).